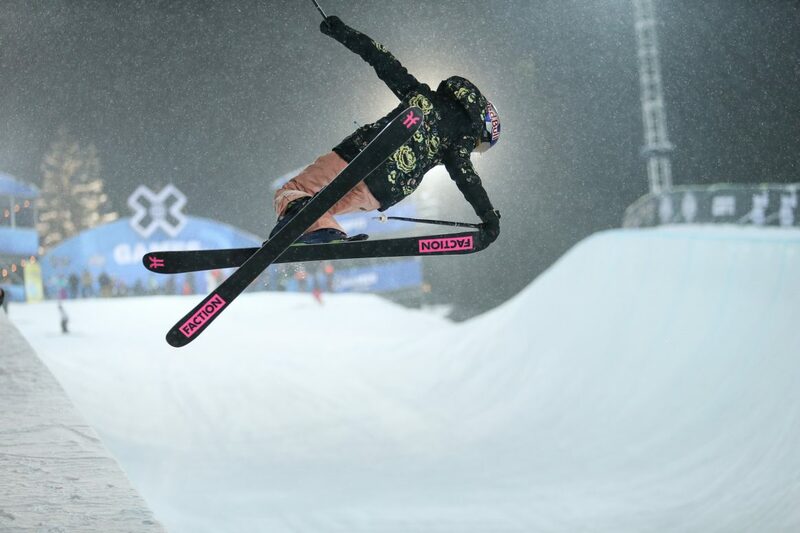 This year’s X Games women’s Superpipe contest featured all the known heavy hitters: Olympic gold medalist Cassie Sharpe, medal-laden X Games vet Maddie Bowman and all the other women who call the icy walls of the halfpipe home. But tonight they were overshadowed by the presence of the youngest athlete on course: Estonian phenom Kelly Sildaru, making her much-anticipated debut in the Aspen pipe. 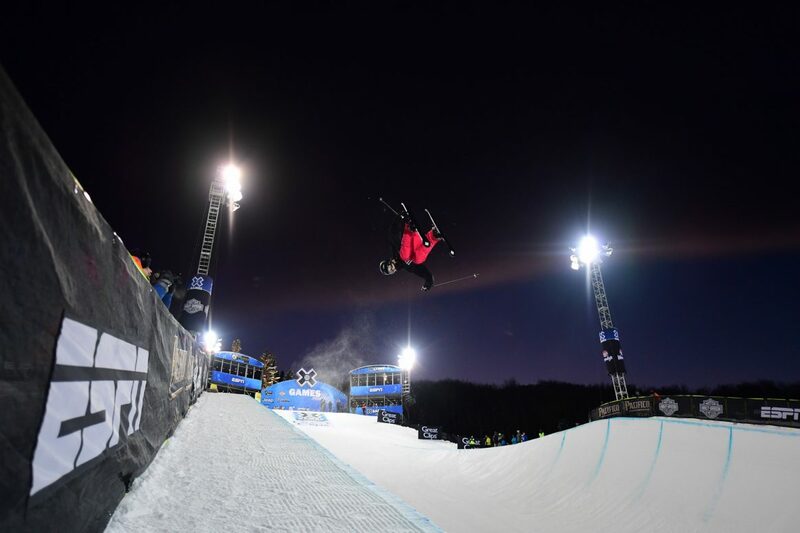 Thursday’s contest quickly turned into a showdown between veteran Sharpe — the best Canadian halfpipe skier since Sarah Burke — and young-gun Sildaru for the top spot. The battle for gold between these two generational talents came down to the third and final run, ending a stunning finish. Canadian newcomer Rachel Karker kicked off Run 1 and quickly showed that Sildaru wasn’t the only rookie to be reckoned with, leading her run with a beautiful flair mute, followed by a left cork 900, flair, left 720 and a switch 5 for a respectable score of 82.00 — not bad at all for an X Games debut. Devin Logan took things down a notch, crashing on her first hit, followed by Ayana Onozuka, the Japanese pipe vet who making her final appearance at X. Onozuka linked up 5s and a switch 5, happy with a clean run in her final showing. Annalisa Drew also went down on her first hit, clearing the way for Kelly Sildaru to set the night’s standard: 900s and alley-oop 540s to both sides, and a clean right 720 blunt to switch 900 combo to round things out. Punching very high on the scorecard despite a few missed grabs, Kelly picked up a 92.33 from the judges — setting the bar high on her first run. Following on her heels was the Canadian favorite Sharpe, who landed her own back-to-back 900s, squeezed in a mid-run switch hit with a 720 to switch 3, and capped it off with a big cork 1080 at the bottom to post an 88.66, with room for improvement. Americans Brita Sigourney and Maddie Bowman rounded out the running order — Sigourney sqeaking into third place with a 9, some 5s and a cork 7, and Bowman slipping in behind her into fourth. In Run 2, Karker again put her run down even cleaner, advancing into third place with an 86.33. Sildaru didn’t improve her score, Sharpe lost a ski and Maddie Bowman washed out at the bottom of a good-looking run, setting the stage for a final-run showdown. Leading off Run 3, Karker continued to make her presence felt with a massive first hit flair mute grab that was the biggest, cleanest trick of the night. 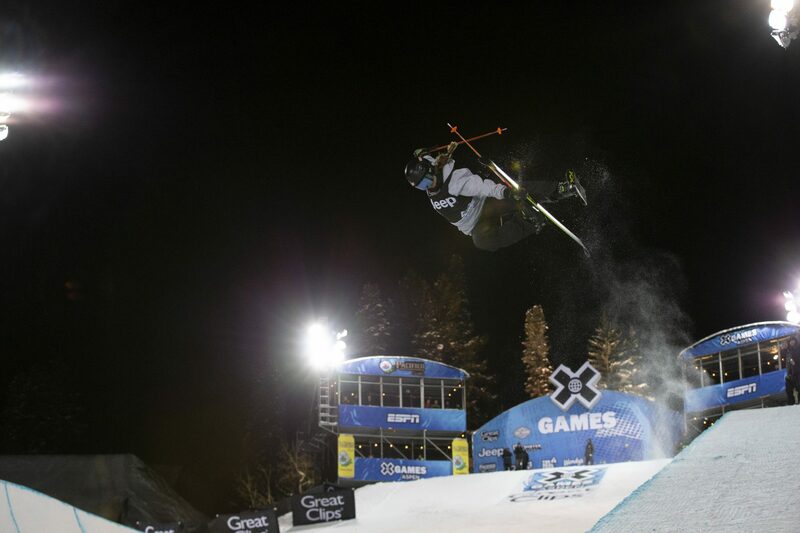 Devin Logan gave up on her run halfway, and Ayana Onozuka finished off her X Games career with a unique stunt: jumping out of the pipe and riding down the rim of the pipe to high-five the spectators. Is that a never-been-done? The drop came to Sildaru and Sharpe, back to back. Sildaru put her run down clean a third time, but again was unable to improve her score, leaving her first-run score of 92.33 standing. It was Sharpe’s moment of opportunity, and she decided not to let this one pass by, landing her run bigger and cleaner than before, adding grabs in almost every trick and lacing the cork 10 at the bottom. It was just about the best run that Cassie Sharpe could hope to put down tonight, and the judges rewarded it in kind with a 94.00 to dash Sildaru’s hopes of gold. Sigourney and Bowman rounded out the order without challenging the podium, and the deal was sealed: Sharpe in first, Sildaru second and Karker third. 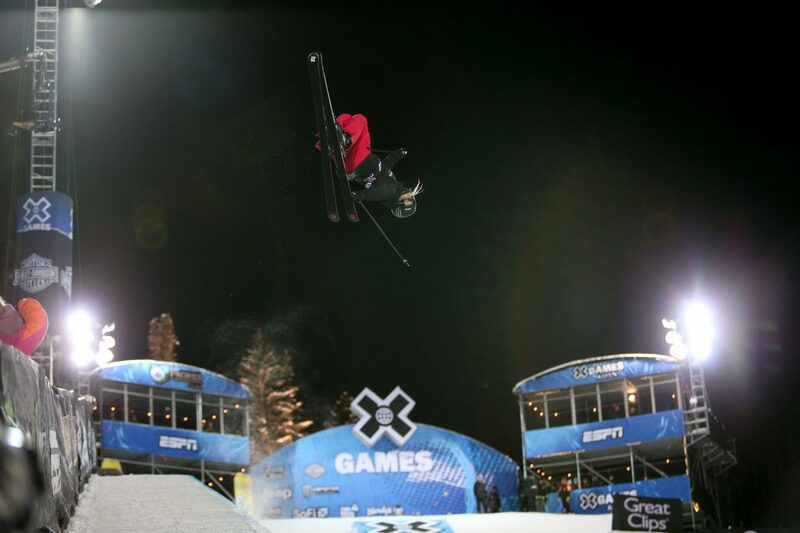 Thus ends an unusually dramatic X Games women’s superpipe contest, with some stellar rookie debuts and a masterful performance from Sharpe making the night one to remember. Kelly Sildaru may be the young gunslinger in town, but Cassie Sharpe is the sheriff.